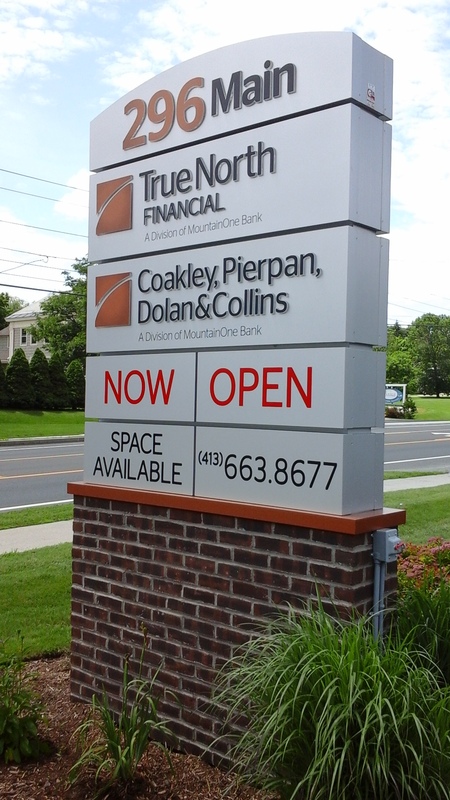 Williamstown, MA – Renovations have been completed and new offices for MountainOne divisions Coakley, Pierpan, Dolan & Collins Insurance Agency (CPDC) and True North Financial are now open at 296 Main St. in Williamstown, according to an announcement by Robert Fraser, MountainOne President and CEO. CPDC and True North Financial will occupy the west side of the building’s first floor with the remaining first floor space and second floor available for lease. In addition to the 296 Main location, True North Financial will maintain a presence in MountainOne Bank’s 795 Main Street office in Williamstown. True North Financial also has offices in North Adams and Pittsfield. CPDC has additional offices in North Adams, Adams and Pittsfield. The 296 Main location also includes a 24-hour drive-up ATM, which represents the latest in ATM technology. Fraser stated, “This additional ATM offers added convenience to our bank customers in northern Berkshire County.” For full-service banking, customers can visit MountainOne Bank’s 795 Main Street office in Williamstown or its 93 Main Street location in North Adams. Building renovations at 296 Main, completed by North Adams based Moresi & Associates Development, included a gut rehab of the first floor interior space to suit staffing levels and customer flow for CPDC and True North Financial. During this process, the property also underwent general upgrades, including roof updates, resurfacing portions of the parking area, and an upgrade to the building’s HVAC system. Professional office space is available on the east side of the first floor and the second floor of 296 Main. For rental inquiries, contact property manager Moresi & Associates at 413.663.8677.